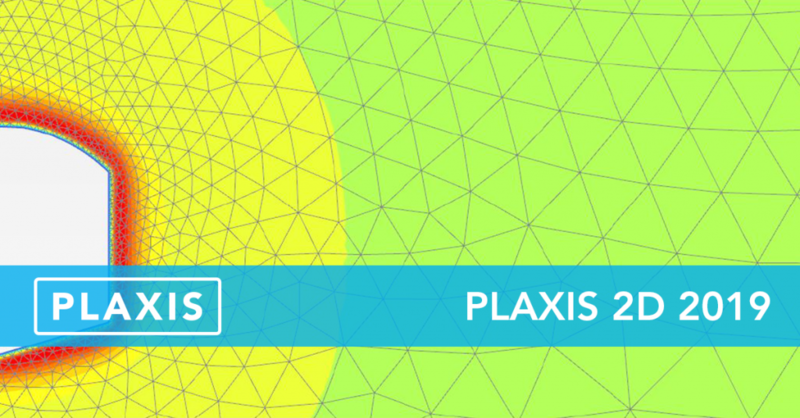 With the new PLAXIS 2D 2019 release, a site response analysis tool, multiplier scaling and plotting tools for the Dynamics module have been added. The output is extended with curve plots generated from arbitrary cross-sections, and for rock modelling, a UDSM for Salt and the cluster-based field stress property were made available. Get up to date on the new functionality below. In the borehole window a site response menu has been added. 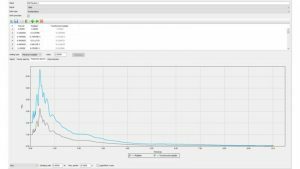 It allows the user to directly access the Dynamic multipliers window to import or define earthquake data and to launch an automated site response analysis for a selected borehole, from the existing PLAXIS model. In the site response model, separate calculation phases are generated for the defined earthquake signals and dynamic boundary conditions are set. After calculation, results are extracted for each of the signals used and stored in a subfolder of the main project. The main project is then opened again and the stored data from the site response analysis can be used for further modelling. When selecting table input for accelerations in the displacement multipliers window for Dynamic multipliers, users are now offered tools to scale the dynamic signal by means of an overall scaling factor or a scaling type based on a maximum multiplier. A duplicate button allows the users to quickly make copies of each scaled signal. The user can also inspect the Fourier and Response spectra and Arias intensity of their original and scaled signals in the Input program. To model the time-dependent behaviour or rock salt, an enriched version of the Norton law, the Norton-based Double Power Creep (N2PC) model for Salt Rock, including temperature effects, was implemented for PLAXIS. Although the model is particularly adapted for creep of rock salt, it can be used also for other types of rock which exhibit similar creep behaviour. To consider the optional temperature dependency the Thermal module is required. It can be applied to various applications in civil engineering, the mining industry petroleum engineering, such as energy storages, wellbore stability in oil and gas extraction, radioactive waste facilities design. Input has an improved way of modelling soil layers. As an addition to the “Modify Soil Layers” window, the soil stratigraphy is now also available in the model explorer under “Stratigraphy”. The “Boreholes” group is also moved there. Users can for example change the layer thicknesses or top and bottom depths directly via the Model explorer, instead of only relying on the “Modify Soil Layers” window. The changes are also reflected in the command line, giving users who do scripting a better structure to access the soil layers in the model. For consolidation and fully coupled flow calculation types, a new deformation control parameter called Force fully drained behaviour newly activated clusters is introduced. By default, this option is always checked. When the option is unchecked by the user for a calculation phase, it will treat any newly activated clusters in that phase by true physics instead of fully drained. This enables the user to better model the physics of tailings dams. Users can create cross-section curveplots from any arbitrary line cross-section, structural element or centerline generated from the Structural forces in Volumes tool. This allows the user to for example create a single curveplot to compare how the settlements at the surface level evolve for multiple phases, or to compare the bending moment along the length of a diaphragm wall or tunnel lining (either modelled as plates or volume elements) across multiple phases at once. Users can assign a field stress property to soil polygons and borehole layers, allowing the user to independently input the in-situ stress by magnitude and orientation for each of those clusters. The “Field stress” initial calculation type must be used to generate the initial stress and should be followed by a nil step in order to generate the stress field from the input data. The cluster-based field stress complements the global field stress and makes it easier to define the in-situ stress for geological models.